At DutchCrafters we offer a wide variety of poly furniture and our ladderback patio chair is one of our most popular styles! 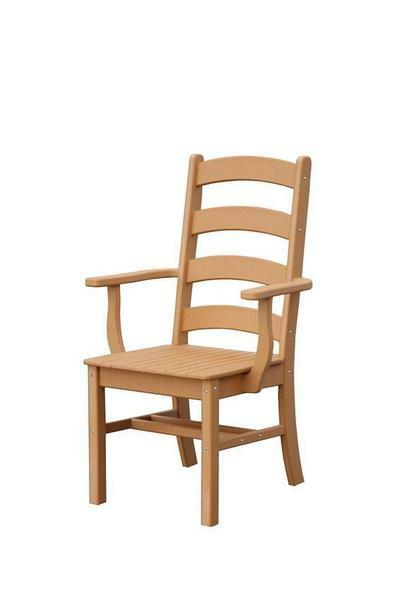 This poly chair is handcrafted by the Amish from durable, maintenance free and environmentally friendly poly. Call 1-866-272-6773 with questions or ordering assistance!